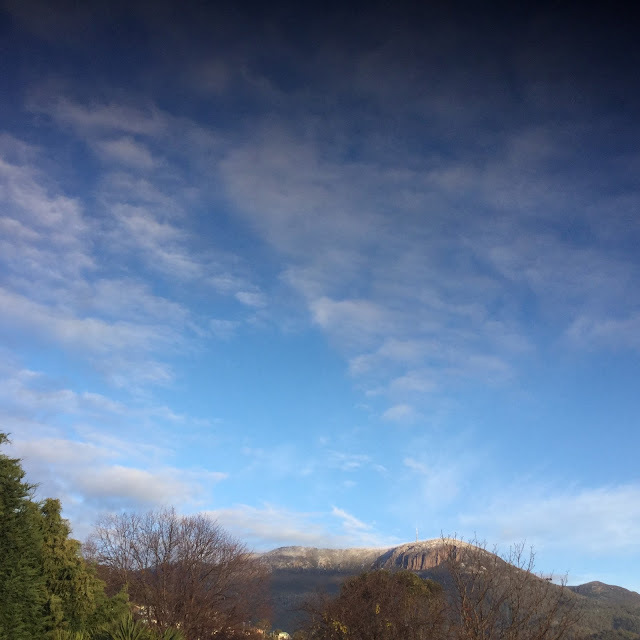 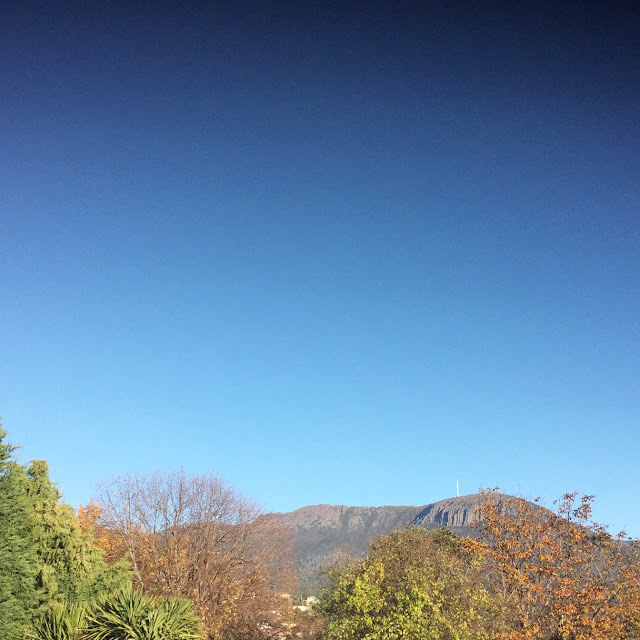 kunanyi (Mt Wellington) as seen from our back deck last month. 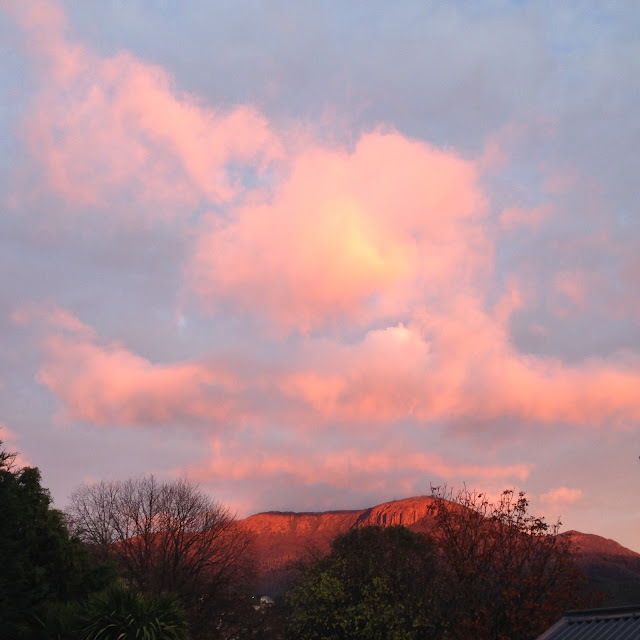 This is the view that greets me each morning from our kitchen. 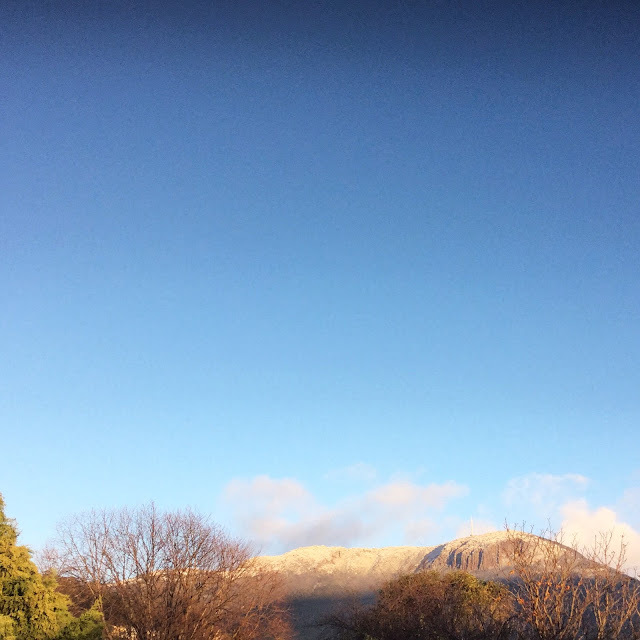 A familiar (and friendly) presence watching over us, our most reliable weather predictor, the beauty of our every day.